Philly Sketchfest 2017: Line-Up Announcement! 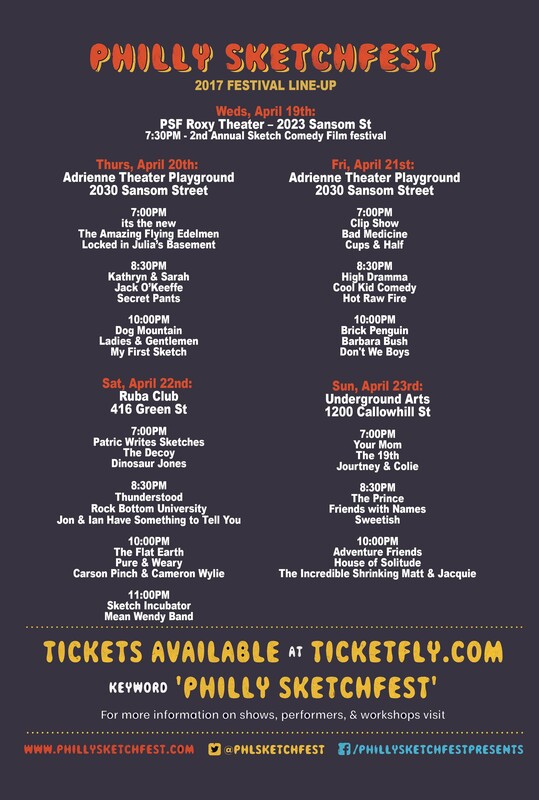 The official 2017 Philly Sketchfest line-up has arrived! We’re proud to be returning this year with a truly incredible list of performers, who will be hosted at a variety of phenomenal venues across the city, including the PSF Roxy, Underground Arts, The Ruba Club and the Playground at the Adrienne Theatre. « Philly Sketchfest: Back and Ready for 2017!